Save up to 40 percent on Windows Server virtual machines with Azure Hybrid Benefit. 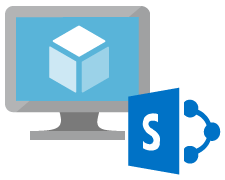 Host all supported editions and versions of SQL Server, including SQL Server 2016, on virtual machines. Run your enterprise database applications on high-end VMs in the cloud with the flexibility of either paying per usage or reusing existing SQL Server licenses. Use free-licensed SQL Developer and Express editions for testing and lightweight workloads. Many applications rely on Active Directory Domain Services for authentication and policy management. For these applications you can deploy an Active Directory forest on an Azure virtual network. For an on-premises Active Directory domain, you can deploy a replica domain controller into an Azure virtual network. 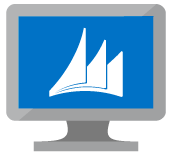 Microsoft Dynamics AX, NAV, and GP can be deployed on virtual machines. By combining Dynamics and Azure you can quickly build, deploy and manage applications across a global network of Azure datacenters managed by Microsoft. Microsoft HPC Pack 2012 and later lets you use Azure Cloud Service worker roles as compute nodes in a high-performance computing (HPC) cluster. The cluster head node can be running either on-premises or as a virtual machine—giving you lots of options for leveraging the agility of the Azure cloud. Use the powerful, statistical programming language R in an enterprise-class, big data analytics platform. Microsoft R Server on Linux is your flexible choice for analyzing data at scale, building intelligent apps, and discovering valuable insights across your business. With Microsoft R Server for Linux you get great stability, performance, and guidance when running on Azure.